Fan Forum - Anna Torv/Olivia Dunham #42: Because we need Mindhunter S2...soon! Education – Australia's National Institute of Dramatic Art (NIDA)degree in Performing Arts (Acting) in 2001. 001 – She is of Estonian descent on her father’s side, and of Scottish descent on her mother’s. 002 - Was raised by her mother, Susan, who has her own company that makes hats, shirts and accessories. 003 - Has a younger brother, Dylan. 004 - Has been estranged from her father, Hans Torv, since the age of 8. 005 - Married her Fringe costar, Mark Valley, in a small, private ceremony in December 2008. 006 - Was married to Fringe co-star, Mark Valley. 008 - Grew up in Gold Coast, Queensland. Went to Sydney at 17. 009 - Enjoys horseback riding, surfing, swimming and hiking. 010 - Attended the University of South Wales. 011 - Voiced and played Nariko for Playstation 3′s ‘Heavenly Sword. 012 - Was chosen for the role of Olivia Dunham 3 days before shooting commenced. She was camping in the Outback at the time, so the producers at Bad Robot could not get in contact with her. Anna got to a gas station just in time to sign and fax the contract back to the porducers in LA and started working 3 days later. 013 - Won Saturn Award for Best Actress in Television for Fringe. (about her character on Fringe) “She’s ridiculously focused and ridiculously determined. flirtatious scenes or you’re going on dates or you’re dressed up. ('this' referring to Fringe) As far as the paranormal, I'm a bit of a squib myself. All the gross stuff, I didn't have any interest in prior to this." until I end up playing this southern belle who reads palms." "I haven’t really had the chance to play the alternate Olivia properly for herself. It’s been our Olivia thinking that she was the alternate Olivia. And then the alternate Olivia pretending to be our Olivia. is that how clearly I am now seeing Olivia. perspective while playing the other." I've found in my life that the parts that you're right for are the parts that you get. It's really usually quite easy because you're kind of right." “I’m terrible at practical jokes. I do them too well, so they’re not funny. and the horizon. You can see all around you for as far as you can see. “A friend of mine says his two favorite artists are Picasso and Rembrandt. Picasso because he paints the beautiful in such an ugly fashion. Can I Give You a Ticket? Anna Torv/Olivia Dunham #1 ~ Because she is our new Sydney Bristow! Anna Torv/Olivia Dunham #2 ~ "She really has a unique look and is incredibly talented and a wonderful person." Anna Torv/Olivia Dunham #3: She's the sexiest FBI agent on TV! 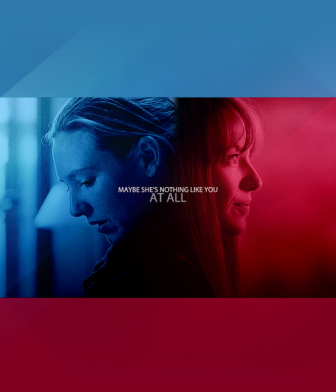 Anna Torv/Olivia Dunham #4: The parallel universe has nothing on her. Anna Torv/Olivia Dunham #5: Because "we just love her Australian stare!" Anna Torv /Olivia Dunham #6: "Because Anna is going to blow us away this season." 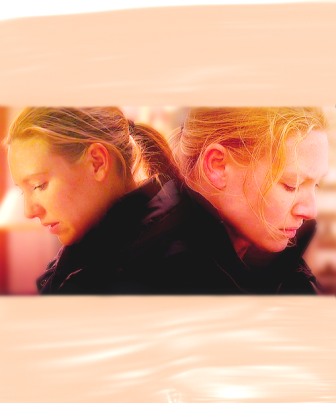 Anna Torv / Olivia Dunham #16: Because she's still that little girl, but she's not alone anymore. 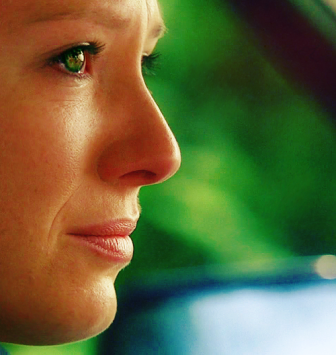 Anna Torv / Olivia Dunham #25 - Because after all that happened to her she finally got her happy ending. 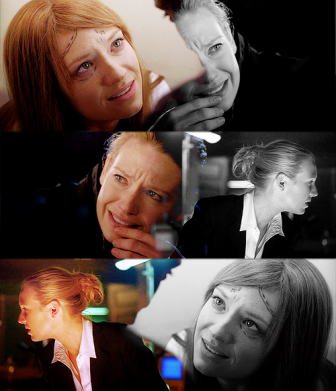 Anna Torv / Olivia Dunham #26 Because "a Fringe Division w/ an Olivia Dunham is better than a Fringe Division w/o her." Anna Torv / Olivia Dunham #27 - Because behind the Dunhamator there had to be a lot of "Pathetic! Do it again!" moments. 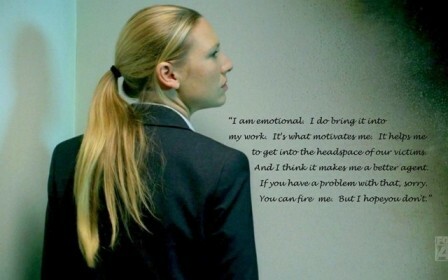 Anna Torv/Olivia Dunham #29: Because Agent Dunham will always be in our hearts. It's The Dunham, Olivia Dunham World! - Anna Torv is totally underrated in Mindhunter. I keep looking for solid news on S2 but... nothing. Still casting? So they're not even done filming yet..